Fancy free is the way to be. Ever since you have parted ways with your significant other (of seven long years), you can't help but feel an overwhelming giddiness every time you go house shopping. Now you can decorate the way you were always meant to, with STYLE! 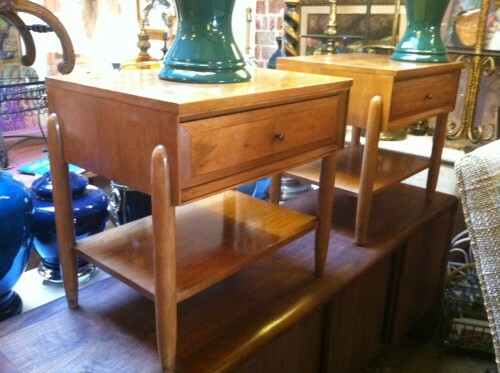 This pair of mid-century night stands were handcrafted entirely from elm. Made in Los Angeles, each of these night stands has a brass pull, a large drawer, and a lower shelf.